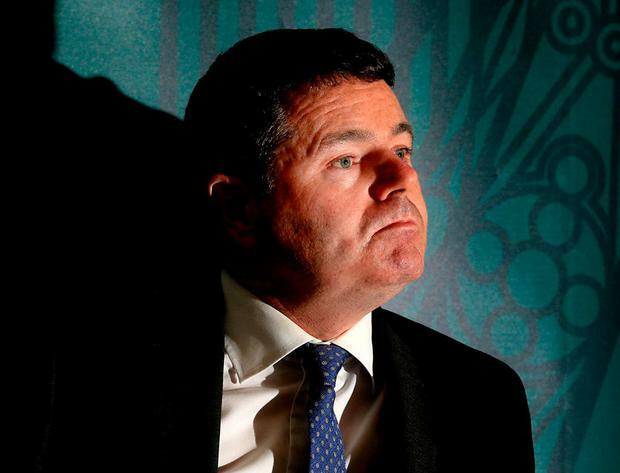 Finance Minister Paschal Donohoe has published a ‘road map’ of actions Ireland is taking to cut down on corporate tax avoidance, but insisted it won’t drive away foreign direct investment (FDI). The road map sets out legislative actions to bring Irish rules in line with the Organisation for Economic Co-operation and Development’s (OECD) drive to tackle large-scale tax avoidance by multinationals and the European Union’s Anti-Tax Avoidance Directive. The changes won’t affect Ireland’s corporate tax rate, Mr Donohoe said. The minister outlined tax changes undertaken here since Ireland signed up to the OECD’s so-called base erosion and profit shifting (Beps) targets in 2015. However, Ireland continues to be dogged by claims about its tax regime – notably including the European Commission’s Apple tax ruling – which found the tech giant had been under-taxed to the tune of €13bn. Although that ruling is being appealed by Apple and by Ireland, the Government commissioned economist Seamus Coffey, of University College Cork, to prepare a wide-ranging report on the Irish corporation tax regime in its wake. It has fed into proposed changes – including new legislation next year on transfer pricing – the complex structures used by multinationals to value services and goods traded between subsidiaries that can have massive taxation implications. A significant part of the EU’s Apple tax investigation focused on how Irish tax officials treated transfer-pricing arrangements within the corporation. Yesterday’s road map doesn’t say how transfer-pricing rules here will change, but said there will be a consultation period with industry and others ahead of new rules being proposed. The Government will also consider the potential impacts of moving to a territorial tax regime here, something the US did this year as part of Donald Trump’s major corporation tax shake-up. Most OECD members have territorial tax regimes, so that tax is charged only on profits made in the country, but the reality is complicated by the location of profit-generating activities and intellectual properties and international tax treaties. “Tax rules need to continue evolve to match the modern world, and that evolution can best take place through international agreement at the OECD and the Beps Inclusive Framework,” Mr Donohoe said. He noted that a report by the OECD has highlighted falling corporate tax rates as a global trend. Later this week, Mr Donohoe and his fellow EU finance ministers will discuss European Commission proposals to levy a new tax on companies’ digital turnover. EU governments broadly agree that taxation should capture more digital economy profits, but are split on how and when to act. France and Italy, which claim to have lost millions of euro of tax revenue due to digital giants’ profit-shifting, want action at EU level this year. Ireland opposes pressing ahead with taxes that will hit big employers here, including Facebook and Google, and wants consensus from the larger OECD membership, including the US, by 2020.